Your company is different. It's unique, so, shouldn't your retirement plan be unique as well? Wouldn't it be awesome if your retirement plan actually inspired and empowered your employees to build the best future possible? What do you think happens when your employees feel inspired and empowered? Right! It's likely the inspiration and empowerment will carry over to your company. If you currently have a benefits package, do you and your employees find it inspiring and empowering? Are your employees eager to participate? Are they excited about the future they are creating? If not, let's talk. Whether you're a start-up or a decades-old company, Wellspring Advisor Group is ready to create an inspiring and fully customized retirement benefits package for you. 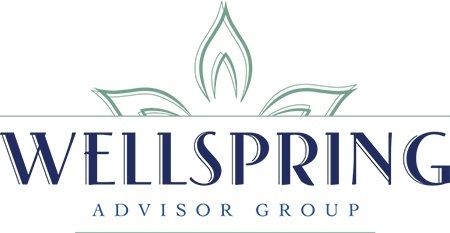 With over 30 years of working with retirement plans and key professional designations specific to the retirement plan industry, Wellspring Advisor Group is positioned as an independent retirement plan resource. Our team is committed to our client family and we work to go beyond just the basic plan administration. Reach out today and discover how Wellspring can work for You, Your Company and Your Employees.